Add professional monitoring and high-quality recording to virtually any camera with the Blackmagic Video Assist. 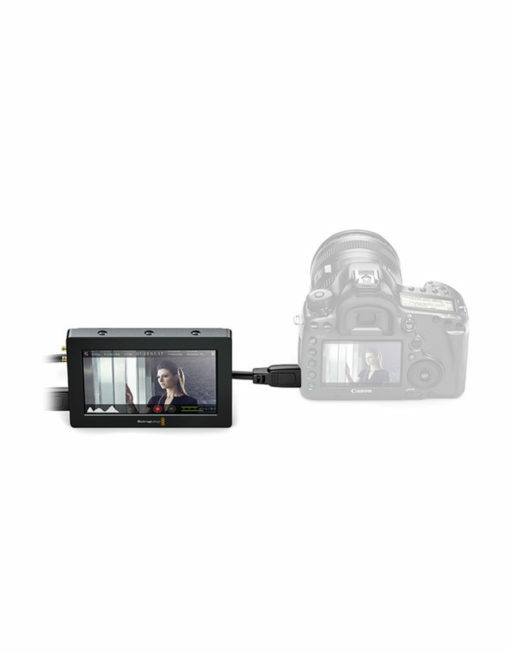 It features a 5″ 1920 x 1080 display to help you frame and focus your shots, and provides 6G-SDI and HDMI inputs for recording the video output from professional and consumer cameras. 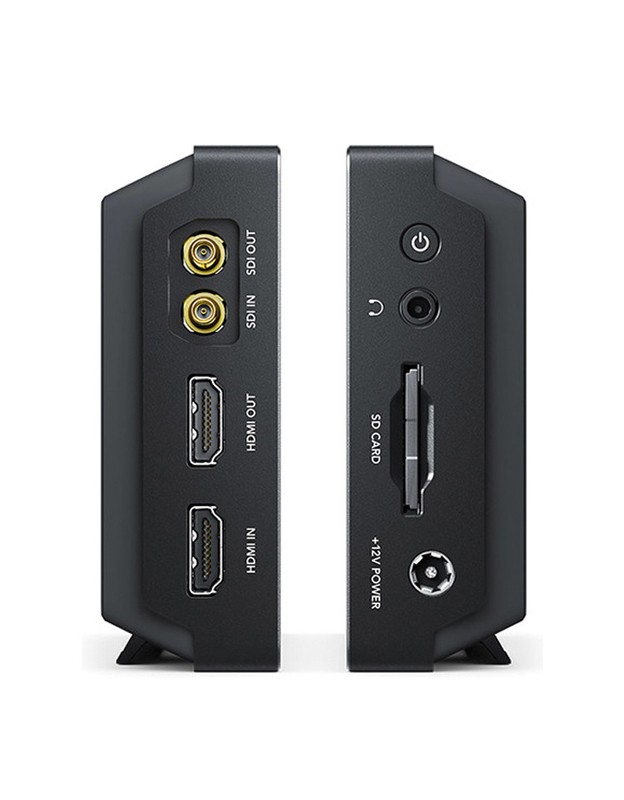 The Video Assist records 10-bit 4:2:2 video up to 1080p60 to high-speed U1 SDHC/XC memory cards using industry-standard Apple ProRes (HQ, 422, LT, or Proxy) and DNxHD codecs. A touchscreen interface allows you to adjust settings and access monitoring features such as histogram, zebra, focus peaking, audio meters, timecode display, and more. To power the monitor, a 110-240V AC power adapter is included. It also has dual battery slots on the rear that you power the monitor using Canon LP-E6 type batteries.